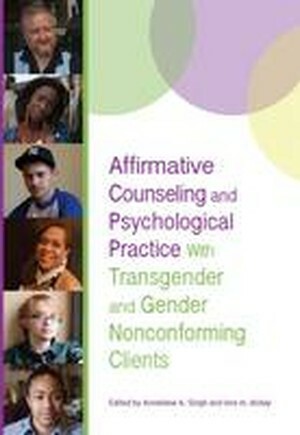 Less than 30% of psychologists report familiarity with transgender and gender nonconforming (TGNC) clients' needs. The clients, in turn, report a lack of support in their gender journeys. There is clearly a large gap in knowledge, skill, and competence in this area of practice. This clinical guide fills that gap by providing mental health practitioners with an affirmative approach that emphasises a collaborative partnership guided by client-driven goals. An expert panel of contributors teaches readers strategies for working with a diverse array of TGNC clients, including adolescents, older adults, parents, and people of colour. Client factors, including sexual orientation, religious and spiritual beliefs, and traumatic experiences, are also given special attention. Readers will learn how to address the impact of the injustices TGNC people face in everyday life, work with clients' strengths to enhance their resilience and coping skills, and advocate for their rights to obtain mental and physical health services. They will also learn how to negotiate complex issues, such as interdisciplinary care, ethical and legal obligations, and gender-affirming surgeries and medications. The chapter authors draw from evidence-based theories and APA's "Guidelines for Psychological Practice With Transgender and Gender Nonconforming People (PDF, 462KB)" to help readers meet the latest standards of care.